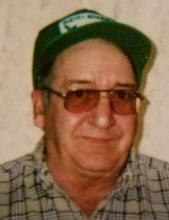 Robert Earl "Brown Boy" Denham, age 71, of Princeton, KY, passed Sunday, February 3, 2019 at Baptist Health in Paducah. He attended Calvary Baptist Church and was a lifelong farmer and worked at the University of Kentucky College of Agriculture Research & Education Center. Robert is survived by his son, Robert Wayne "Sparky" Denham and wife, Cindy, of Caldwell County; long-time companion, Nancy Robinson of Caldwell County; two sisters, Elizabeth Ann Gunther of Illinois, Caroline Sue Baker of Hopkinsville; one brother, Charles "Bub" Denham of Dawson Springs; two grandchildren, Alissa Ann Denham, Robert Bryce Denham. He was preceded in death by his wife, Sherry Ann Johnson Denham; parents, William H. "Boss" and Mary Ann Holloman Denham; two sisters, Margaret Louise Des Kevitz, Lillian Katherine Denham; one brother, Albert Lee Denham. Memorial services will be held at 1:00 PM Saturday, February 16, 2019 at Calvary Baptist Church with Bro. John Hagan officiating. Visitation will be held from 12:00 PM until 1:00 PM Saturday, February 16, 2019 at Calvary Baptist Church. You may light a candle or leave a remark for the family at www.morgansfuneralhome.com. To send flowers or a remembrance gift to the family of Robert Earl "Brown Boy" Denham, please visit our Tribute Store. "Email Address" would like to share the life celebration of Robert Earl "Brown Boy" Denham. Click on the "link" to go to share a favorite memory or leave a condolence message for the family.